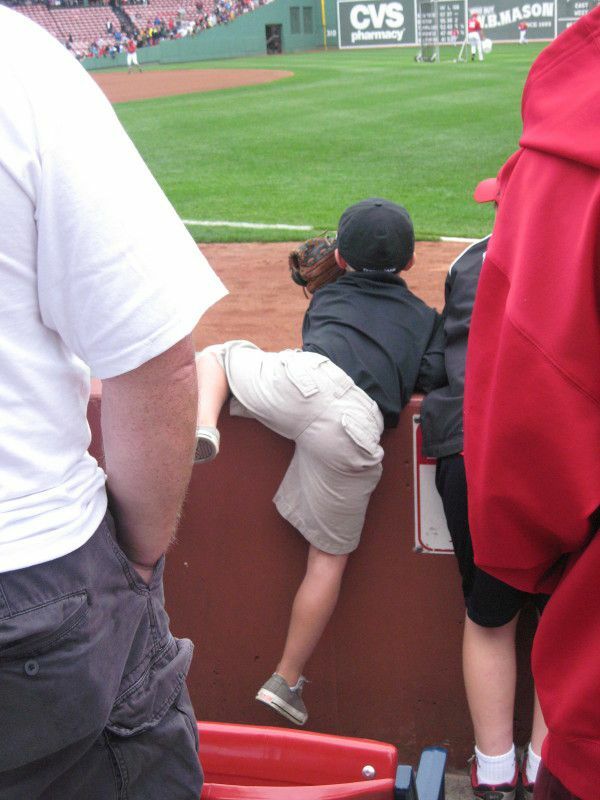 Trying to catch a ball at Fenway is hard enough. This young lad was trying harder than anyone! Before the game began, players were taking infield practice. I could just hear what this little guy was thinking..."I know I can get one!"